Click Privacy. The window shown below appears. Select a hard disk or volume. 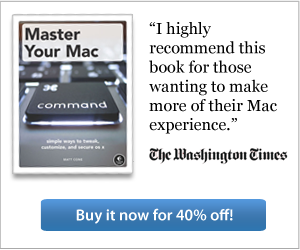 Select the hard disk or volume you just added, and then click the - button. 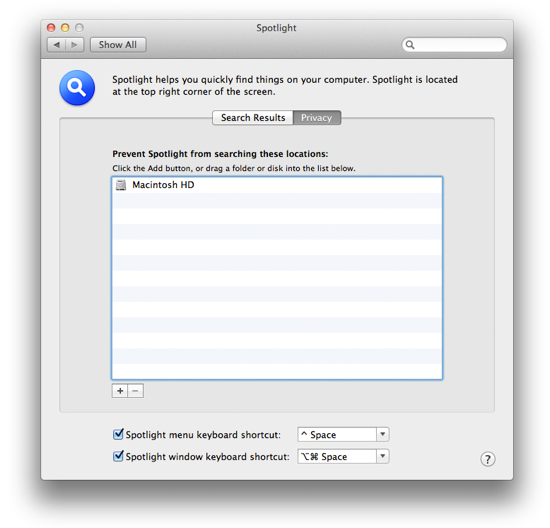 Spotlight rebuilds the index of the selected hard disk or volume — a process that can take between 30 minutes and a couple of hours, depending on how many files you have. Select the Spotlight menu to verify that the index is being rebuilt, as shown below. That's it! Your searches should be more accurate after Spotlight rebuilds the index. Authenticate with your administrator password, and a message appears indicating that the index will be rebuilt. 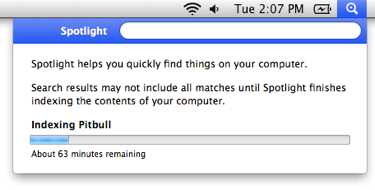 Spotlight rebuilds the index of your hard disk. You can track the rebuilding progress by clicking the Spotlight menu.